The FPF-1 unit, which is serving Ithaca's Greater Stella area development. Petrofac has agreed to sell off its stake in the Greater Stella Area (GSA) project in the North Sea to Ithaca for up to £228million. Ithaca has agreed the deal to buy out Petrofac and Dyas UK’s interests in the project, which is expected to be completed in Q1 next year. However, Petrofac said the transaction would force it to incur a post-tax impairment charge of £43million. 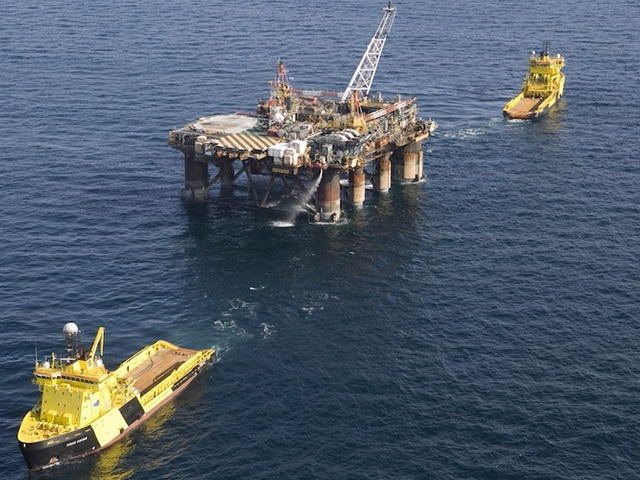 Ithaca has today agreed to pay up to £228million for Petrofac’s 20% stake in the central North Sea production hub, along with its 24.4% interest in the FPF1 floating production facility. The firm will pay an initial sum of £113million to Petrofac by or upon completion of the deal and a further £93.5m between 2020 and 2023. Another £21.8million could also be paid depending on the field’s performance. Ithaca, which was taken over by Israel’s Delek Group last year, has also made an agreement with Dyas UK for its 25% interest in GSA. It makes Ithaca the whole owner and operator of the area, with its 2018 production forecast doubling to 22,000 barrels of oil per day. Petrofac said the proceeds from the sale will be used to reduce debt as it looks to scale back involvement in oil production. The Greater Stella Area licenses contain the Stella and Harrier fields, the Hurricane discovery and the Twister project. Up to 30million barrels of oil could be recoverable from GSA, according to Ithaca, as well as a range of other potential discoveries surrounding the hub. Ithaca will release its second quarter financial results next week. The GSA deal marks another move by Petrofac back to its core business, according to its CEO. Petrofac traditionally focuses on building and maintaining oil and gas facilities, and has started a process of divesting some of its assets. Last month the oilfield services provider signed a deal with Perenco to sell 49% of its operations in Mexico. Petrofac did not reveal the full price of the sale, but said Perenco would pay an initial cash settlement of £155.6million. Similarly, in June the firm also made a sale of its entire 45% stake in the Chergui asset in Tunisia, also to Perenco. In April the UK-headquartered firm sold its deepwater JSD 6000 offshore vessel project to Shanghai Zhenhua Heavy Industries for £135m, plus a 10% interest in a new special purpose vehicle set up to own the vessel once commissioned. The GSA deal is another step in the move to a “capital-light business”, according to chief executive Ayman Asfari. First oil from Ithaca’s flagship North Sea field was achieved in February 2017, but not before being hit by a raft of delays. The transaction will make Ithaca 100% owner-operator of the Greater Stella Area, as well as the FPF-1 floating production platform. First oil had been planned for as far back as 2012. Among some of the delays was modifications on the £27million FPF-1 taking longer than expected at a shipyard in Poland, with the work being carried out by Petrofac. The delay wiped millions of pounds off of the value of Ithaca Energy, with share price plummeting by nearly a third. The delay itself costed around £6.5m, mainly in additional in management costs. At the time, Ithaca chief executive Les Linklater said the delayed start-up was “disappointing”. The costs of the modifications were borne by Petrofac. The vessel eventually arrived at GSA, around 175miles east of Aberdeen, in August 2016. However there were further delays to first oil when faults were detected in the FPF-1’s electrical junction boxes during routine inspection. The firm said it’s long-term aim is to acquire further undeveloped discoveries within the vacinity of FPF-1 to tie into the facilities.